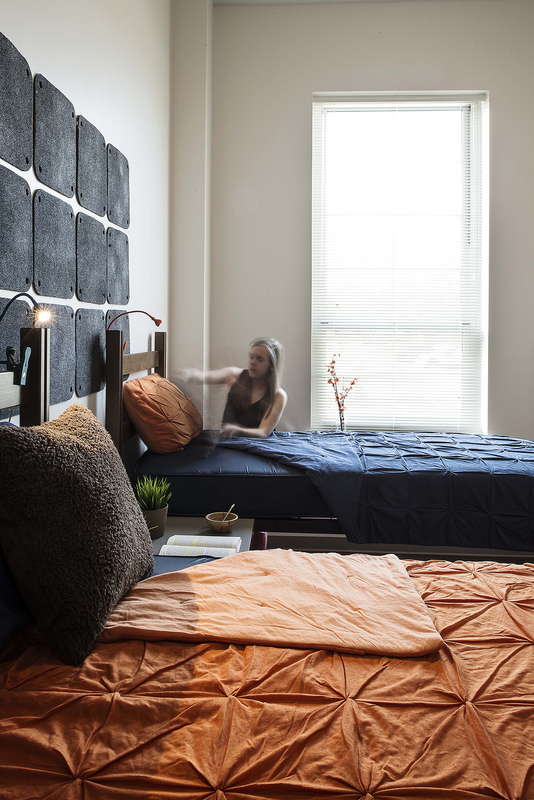 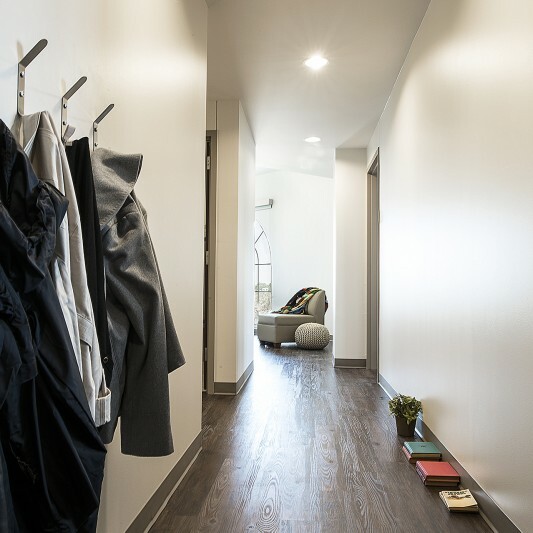 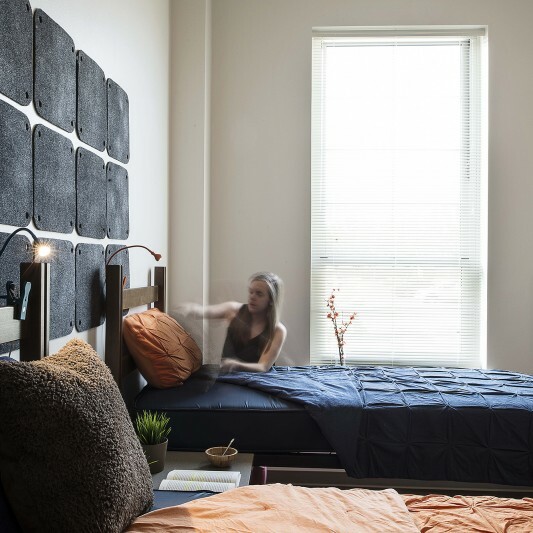 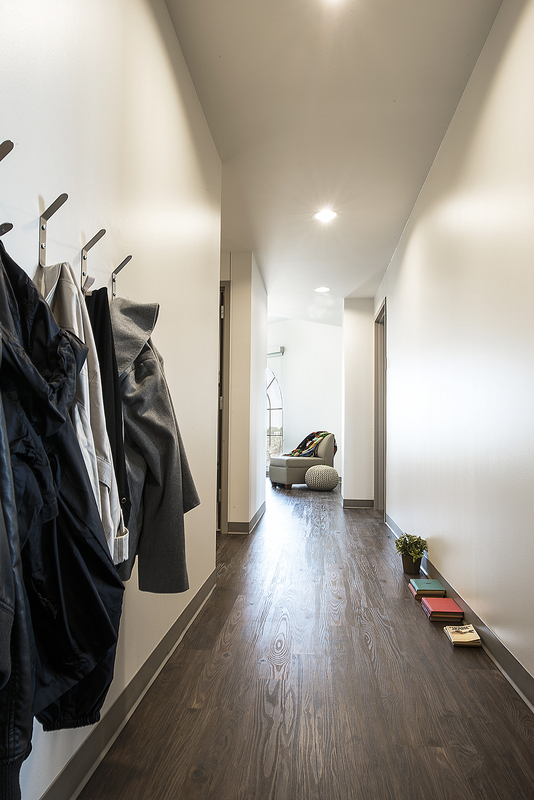 Marion-Clark Halls are designed to provide not only quality housing for sophomores but also act as a gateway to the new Worth Hills Village student housing development. 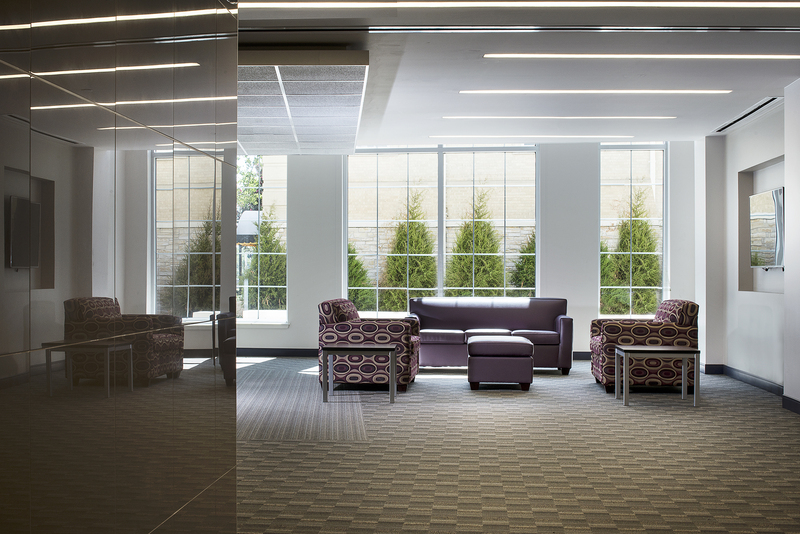 The buildings offer suite-style units as well as common areas, study rooms and outdoor spaces to facilitate student engagement. 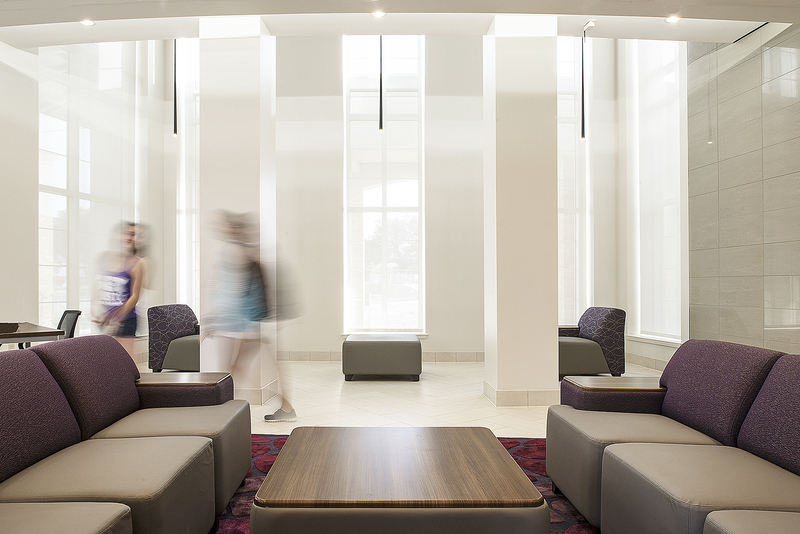 Campus identity and sense of place were driving factors for this project. 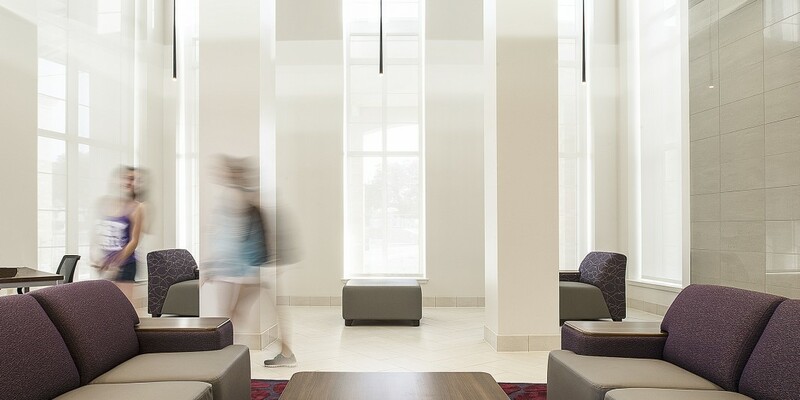 Immediately across the street is the university’s admissions office, so this project plays the important role of creating a strong first impression for students and parents when they visit campus. 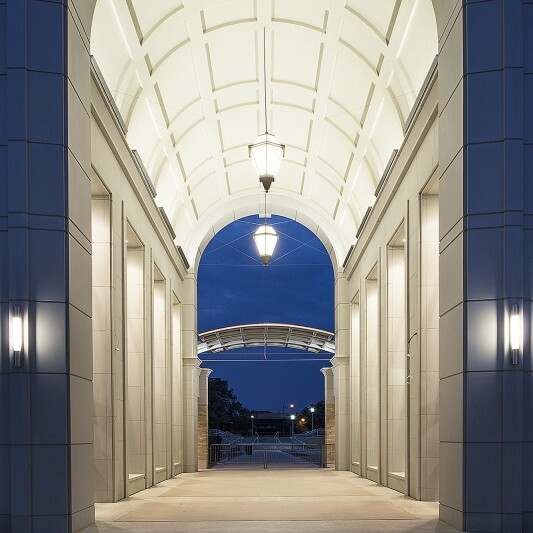 Placed on a diagonal to the street corner–with a sidewalk right to the street–a sense of place was immediately established, inviting pedestrian and bicycle traffic. 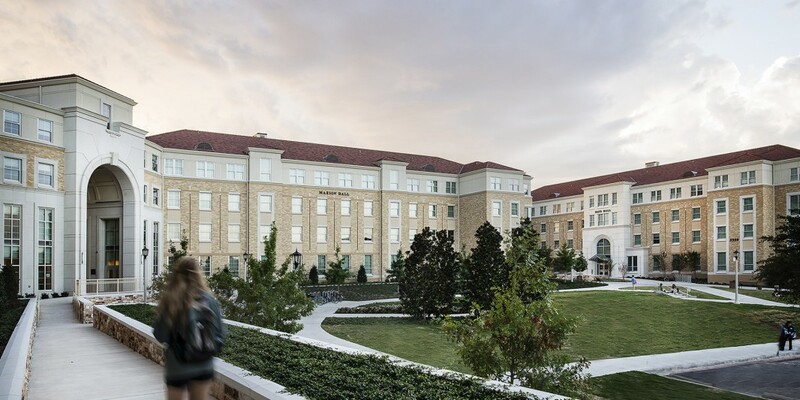 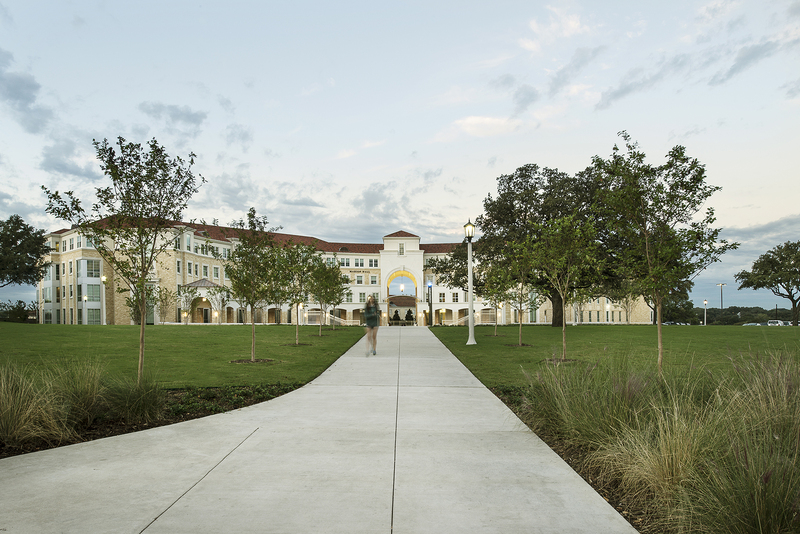 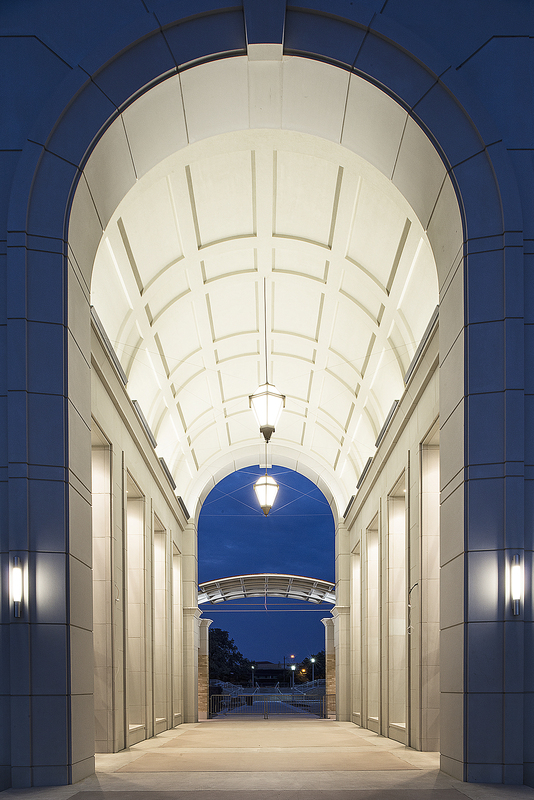 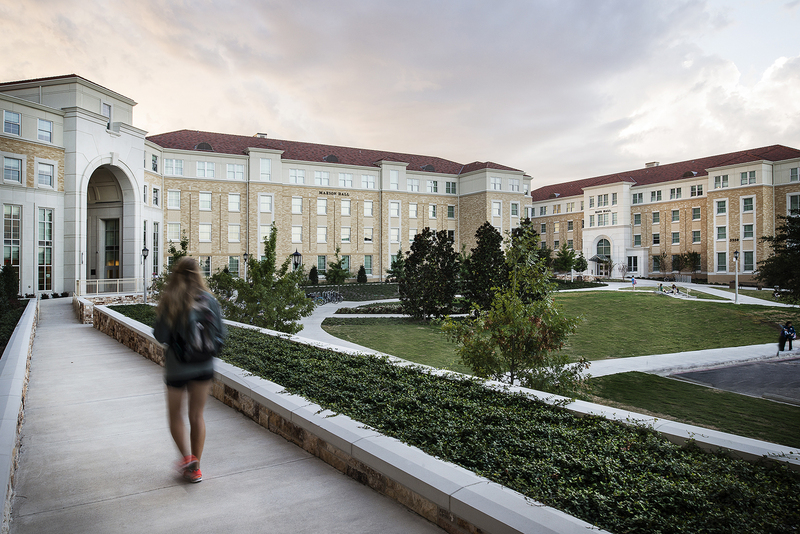 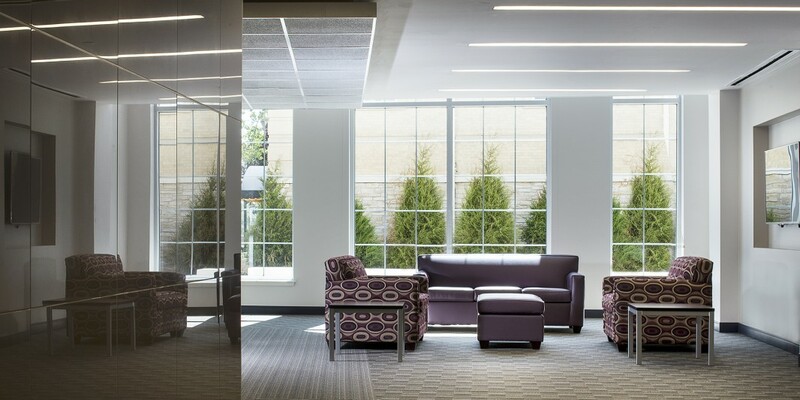 TCU’s commitment to LEED, with high quality building materials and sustainable construction methods, was a key factor in the project achieving LEED Gold certification.